It’s been forever. I know. As it is, I’m typing this with one hand. Don’t ask. Tomorrow is June 1st. It finally feels like summer weather might stick around. School is out (or just about) and we’re deep into picnic and grilling season. Ah…the foods of summer…fresh fruits and veggies, farmer’s markets, and tasty beverages. Oh…and race season. I love to eat as much as anyone…but hotdogs, potato salad, and apple pie go right to my you-know-what. I decided my food choices needed a revamp…and some of you thought that yours might need that too. I’ve lost 50lbs since I started my journey, but plateaued about a year ago at what I thought was my “meant to be” weight. I was regularly training for yet another marathon, so I MUST be healthy. Hardly. They say “abs are born in the kitchen,” and they aren’t lying. And no…you can’t see mine…I’m still working on them. When I started training for ultras, I had to change some things. First, that processed fuel…that’s not going to work for me. And this “rungry” all the time…something’s not right. I was eating all the wrong things, and getting nowhere. I had zero energy. I wasn’t sure I could stay awake for 24hrs, forget running for that time…still untested…but approaching fast. Eek! Then I started eating better. And I lost 20lbs. And it stayed off! Hence the #EatRealFood Summer Challenge. I’m doing this mostly for me. You’re welcome to follow along, and of course, try any of my suggestions. Some will pertain specifically to running, as that’s what I do, but most, if not all, can easily be applied to anyone. And please…share with me your ideas, wins, and losses. Post pictures of your food. Recipes. Anything. *I am not a nutritionist. Please don’t send me your food journal and ask me what you’re doing wrong. Although I’m happy to suggest small changes that work for me, I cannot “advise” you in any way. I will offer suggestions from people who can, and their writings. I’ll reference those articles and books here on the blog and on twitter. At first I thought this would be a 30 Day challenge, but my health, and yours, is more important than just 30 days. So I’m shooting for 90…June, July, and August, which should set us all up for fall racing. I certainly hope you’ll feel better as we go, and maybe, just maybe, you’ll drop a few pounds if that’s your goal. I’ll post a challenge twice a week…something small, and something I’d like you to continue throughout the challenge. Sometimes it will be something to “do,” and sometimes just something to read or think about. I will never ask you to do something I won’t do. You can join in now, or at any point. I’ll make a tab on the blog where I list all the challenges. You can stop at any time. There is no failure in this challenge. Making better food choices is always a win, no matter how small. I will never ask you to throw out food, you’ve already purchased. You might re-think buying it again, but I don’t have the money to resupply my fridge and pantry either. Baby steps. Please share any thoughts about the challenge, or what you’re finding on twitter using the hash tag #EatRealFood. Tag me @RisenBird. Or comment on the blog. Challenge #1 is coming tomorrow. You can do this! I expect this will take several posts, I’ll do a full race recap sometime tomorrow time willing. I just want to leave you with some overall first impressions, and then I’ll get down to the details. First, I should point out that I haven’t been to Washington, DC in a long time. It might as well been never since I didn’t remember anything about the city that I couldn’t recall from pictures. It’s been that long. 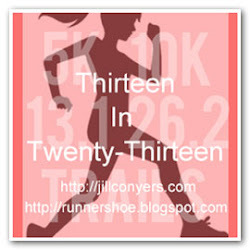 I headed to DC this past weekend for the Inaugural Nike Women’s Half Marathon. Yes, Nike is celebrating the 10th anniversary of the half and full in San Francisco this year. I’m usually nervous to attend the first year if any event, and try to keep in mind that there’s a good chance for some snafus. DC is a great place for a race. With a city so spread out, it’s easy to find 13.1 picturesque miles to run. I’m fairly certain that, if they do add the full in the coming years, they won’t have much trouble doubling those views. But there are other aspects of DC that make it appealing. Inexpensive public transportation. Once you get the hang of it, the metro is pretty easy to maneuver. And all the employees we met were friendly and helpful. You can take a cab, but you don’t need to. And don’t drive. It’s not worth it. Lots of green. Parks and more parks. For a city, DC has a lot of green spaces. And they’re clean. Free activities. You don’t have to pay a lot to see the sights. Several museums were free, and you can find tours of the older, less popular buildings that don’t charge. My favorite tour of the city was done on foot…our impromptu shakeout run covered 4.5 miles of the National Mall, complete with stops for photos…and a workout? Sold. At no charge of course. Sure. You can pay plenty during a weekend in the nation’s capital. Shoot…the food alone can bankrupt you. But you don’t HAVE to spend money to have a good time. Enough about the city…race report coming up!